Dry roast the spices and grind them to a powder.Then mix half the portion with the yogurt and salt to form a thick paste.Marinate the chicken with the paste and keep for an hour. Heat oil in a pan and add the dry chilli peppers and the rest of the powdered spice. Let them splutter. Add the onions. Saute till they become translucent. 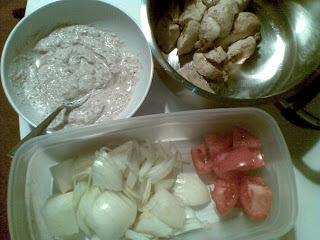 Add the ginger-garlic paste and tomato.Saute till they turn brown. 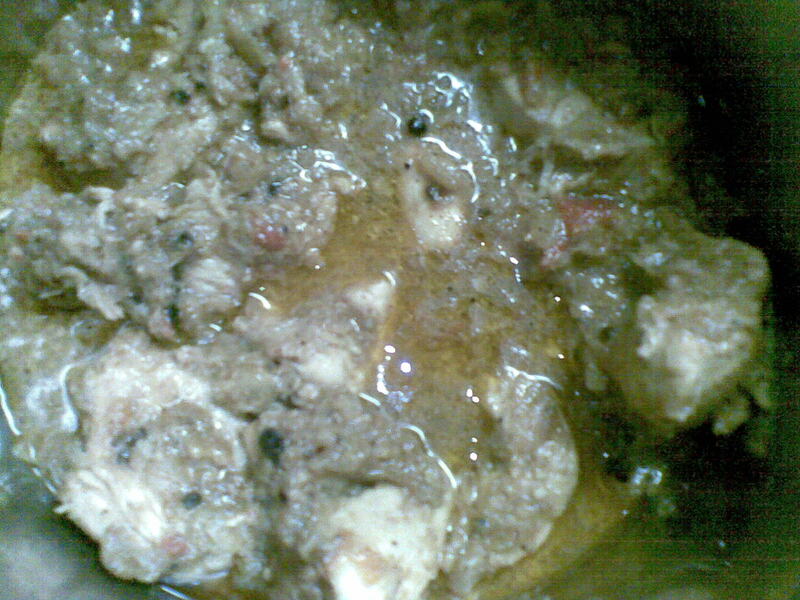 Add the marinated chicken with the yogurt paste. Fry well till the oil seperates. Add 1 cup of water and let it cook by covering. Wait till the chicken becomes tender.Keep checking in between so that the gravy doesnot stick to the pan.If necessary you can add some water. Take away from heat and serve hot.